Home Books The 13 Best Mom and Pop Bookstores in L.A.
Late-stage millennials like myself relish the double agency that comes with straddling two generations. MarioKart 64 (and, in my case, DoubleDash) is our go-to video game of choice, but Pokemon Go is addictive, too; Snapchat filters are a most excellent time waster, but we still get down with all the “olds” on Facebook (mostly because we ourselves are considered “olds” by our younger millennial comrades); our phones are tantamount to digitized libraries, but we still long to crack open a new book, run our fingers along its textured pages, and breathe in its comforting papery scent. And while there are plenty of big box bookstores in L.A. to satisfy any bookworm or bibliophile, there is something a little more magical about stumbling into a smaller storefront. 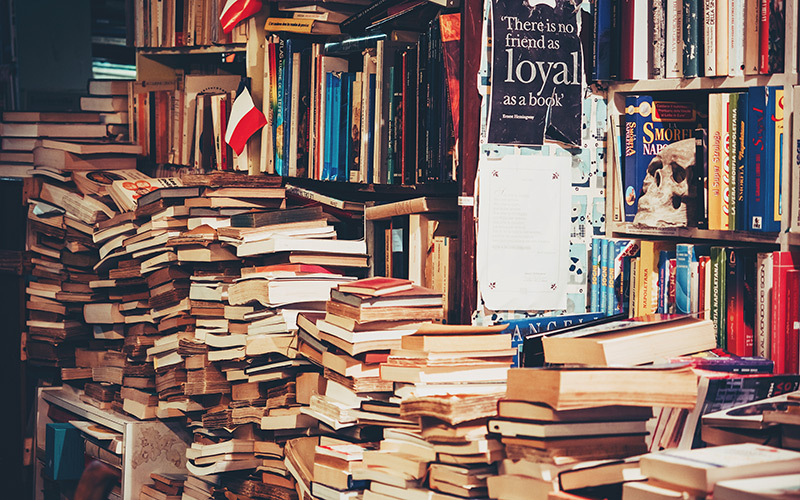 Here are 14 indie book stores to check out next time you’re on the hunt for a new read. No indie booklist is complete without a mention of this Literary Megalopolis, purportedly California’s biggest new and used book and record store. The “store” is really more of a giant warehouse, stocking more than 250,000 titles throughout 22,000-square-feet of space. Organized and easily navigable, it’s a book-lover’s utopia amidst the madness of downtown Los Angeles. While you’re there, head up to the Spring Arts Collective galleries on the second floor to browse original art as well as a yarn shop dubbed Gather DTLA.